Refrigerated Van GalleryThese refrigerated vans come with customisable skin option of aluminum, GRP, steel & stainless steel body for inside and outside walls. Refrigerated Van SpecificationsThe refrigerated vans are provided with options of corrugated floor or aluminum T grating floor to ensure efficient cooling. 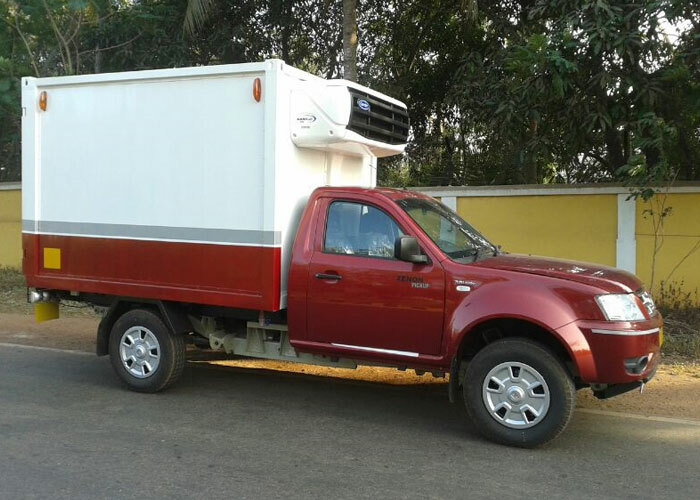 These competitively priced freezer trucks come with customizable skin option of aluminum, GRP, steel & stainless steel body for inside and outside walls. These freezer trucks also have the option of equipment like tuck-away hydraulic tail lifts, depending on end user requirements.